Oklahoma State University (OSU) is known for its friendly campus atmosphere, harmonious architecture, and attractive landscaping. Stillwater, home to OSU, is a classic college town that every fall hosts one of the biggest university homecoming events in the nation. As a land grant institution, its College of Agricultural Sciences and Natural Resources (CASNR) is one of the largest on campus. Native American culture abounds in Oklahoma, home to over 35 tribes. OSU graduates the highest percentage of Native American students in the US, and all students are welcome to learn more about Native American history, culture, law and language through OSU's American Indian Studies interdisciplinary program. The Entrepreneurship program in the Scholar Development Office and was designated a Truman Honor Institution in 2000 for the high number of Truman scholarships awarded. All student administrative services are consolidated in the newly remodeled hotel (currently undergoing renovations) and top-rate restaurant. The university has a long tradition of international development and service, and is pleased to welcome international students for study and research. 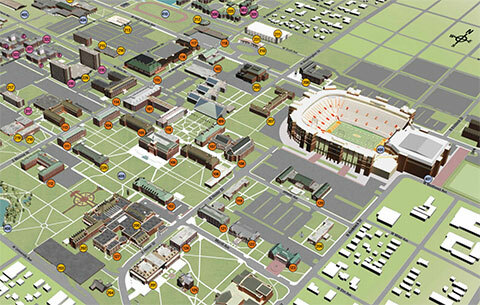 Campus Location - OSU is located in Stillwater within a mile or two of the downtown area. Stillwater is equidistant from Oklahoma City to the south on Highway 35 and to Tulsa to the east on Highway 44. Click here to see a list of our partner institutions. Welcome to the OSU National Student Exchange page! OSU is an active participant in the National Student Exchange consortium. Below find information on studying at OSU for a semester or academic year. You will pay in-state/in province tuition/fees directly to OSU. You will pay your normal tuition/fees to your home campus. Uneven- Host campus accepts a few more students than it sends out. Transportation from SWO to your hotel/dorm room will be arranged if you inform the Study Abroad & NSE office in due time. You may also choose to fly into a different airports such as Oklahoma City or Tulsa International Airport. However, transportation to Stillwater will have to be arranged on your own. This service is a charter service and thus available at any time of the day. Their office is located near the baggage claim area. Phone 405-681-3311. Student Disability Services (SDS) is committed to providing a community that ensures full participation for students. SDS provides assistance to students that will facilitate their independence and academic progress. Academic support services include specialized testing, classroom accommodations, accessible textbooks, access to/assistance with Assistive Technology (AT), and other services as necessary. Students may request services by contacting Student Disability Services. For information on Assistive Technology and Web Accessibility, please visit http://access.it.okstate.edu/. Medical insurance is MANDATORY for ALL international students (visa holders as well as J-Scholars) at Oklahoma State University as U.S. medical care is extremely expensive. Medical insurance will be provided upon arrival. Fees for insurance will be applied to the 1st tuition billing statement you receive. Find more information here: http://iss.okstate.edu/insurance. Since Oklahoma is in the Temperate Zone, you should come prepared for variable weather. The temperature frequently drops to 20F (-7C) during the winter and rises to as high as 110F (43C) during the summer. With this great temperature range, students need a wardrobe for both seasons. You will need warm clothes (including a heavy coat) for the winter season (November to February) and lighter clothes for the summer (June to September). You may wish to wait to buy winter clothing when you get here. Request your transcript from the office of the Registrar (324 Student Union) to be sent to your home university. Transcripts are generally ready with final grades by the Friday following the end of finals. If you are still in Stillwater by that day, you can pick up your transcript in person. You may request any number of transcripts you desire. You should have at least one transcript sent to your home university and to your home (permanent address). You can read up on all options of getting your transcript on the Office of the Registrar's website. the following website. This is your responsibility! Our office is not authorized to request transcripts for you. We will not be sending you your transcript. Make sure that your Bursar account has a zero balance (you cannot receive your transcript otherwise). Inform your RA that your exchange stay at OSU is ending and you will be moving out at the end of this semester. Make sure you leave your room in good condition or part of your refund may go to cleaning or repairing damages.